What Types of Car Seats Are Available? When trying to find the right car seat, it is important to be familiar with the different types of car seats available. Learn more about infant-only, convertible, combination and booster style car seats by viewing the listing below. Infant-only seats, also known as rear-facing seats, are placed in the back seat of the car. Your child should use an infant-only seat from birth until he or she is 1 year old and weighs 20 pounds. The car seat must recline at a 45-degree angle and should not be placed in front of an air bag. Some infant-only seats come with a detachable base so that you can remove the car seat with your baby seated in it. Convertible seats are essentially two car seats in one. They are placed in the back seat and face the back of the car until your child is 1 year old and weighs 20 pounds. Following that, the seats are placed to face the front of the car. Combination seats face the front of the car and are intended for children who are 1 year and older, and weigh approximately 20 to 40 pounds. These seats can also convert into a belt-positioning booster seat when your child weighs 40 pounds or more. Booster seats are intended for children who are 4 to 8 years old and weigh between 40 and 80 pounds. Your child should start using a booster seat when he or she grows out of his or her car seat (when his or her ears are higher than the back of the car seat, and his or her shoulders are higher than the top strap slots), or when the weight limit for the seat is reached. Booster seats are usually used until your child reaches 80 pounds and is then ready to use a regular seat belt. 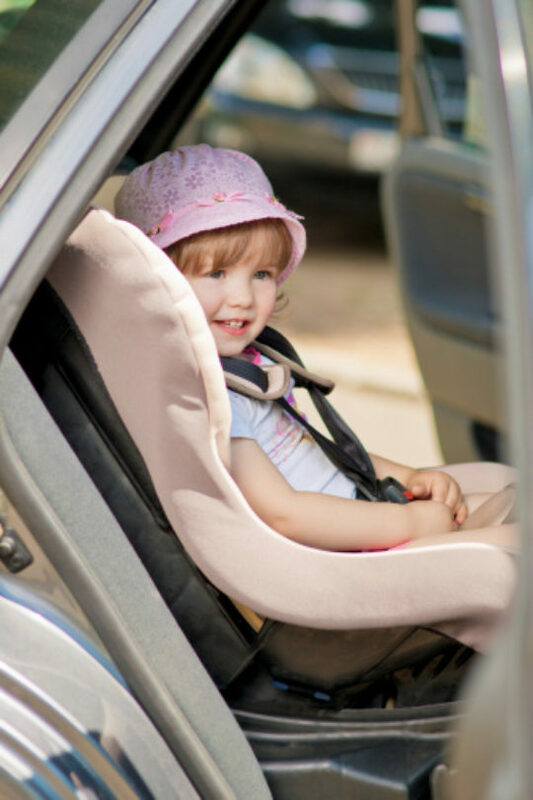 While many state laws do not require children over 4 years of age to ride in a child restraint system, your child is unprotected from serious injury when unrestrained, or if restrained in a car seat belt when he or she is still too small. A child is ready for the standard car seat belt when the weight limit indicated on the booster seat is exceeded (approximately 80 lbs. ), the child can sit with his or her back against the seat and the legs can bend at the knee at the front of the seat.